Our range of wall graphics includes custom printed wall paper, self-adhesive wall vinyls with long-term and removable options, or a seamless large format wall canvas. Wall graphics will bring your commercial space to life, allowing you to promote your brand or message easily and professionally. Branding your space is now an essential part of any commercial, retail and corporate environment, talk to our team about your options. All wall coverings are printed to order. 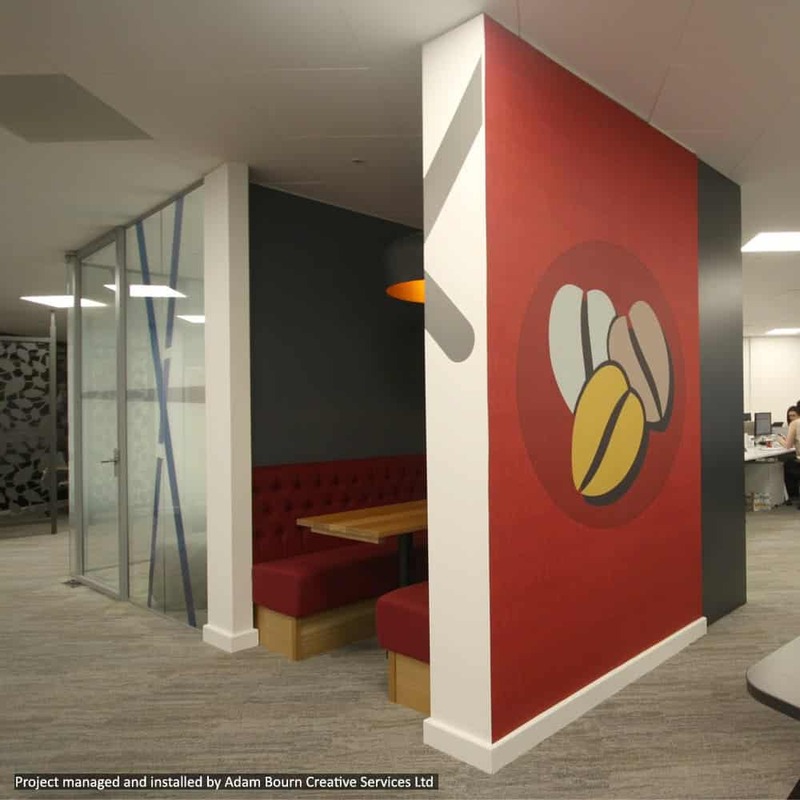 A range of digitally printed self adhesive vinyls for the decoration of walls, ideal for a range of applications from short-term peel clean to semi permanent wall decoration. 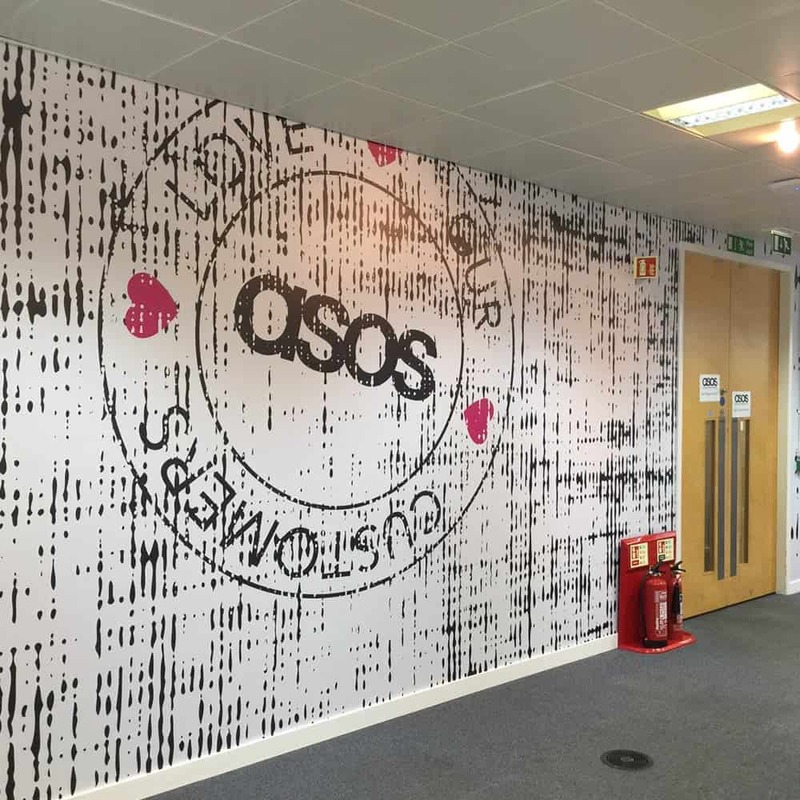 A canvas material that can be printed up to 5m in width and is installed using standard wall paper paste methods creating a large textured seamless wall graphic. Our standard textured paper backed wall paper is ideal for retail and commercial environments. It is installed using traditional wall paper paste methods.